The holiday season can be a stressful time! You are busy with holiday get-togethers, shopping, preparing for family dinners, and hosting out of town guest. This year, why not make things easier on yourself? This post is sponsored by Walmart and SheKnows Media, but all opinions are 100% my own! The holidays can be so exhausting, right? Every year, I run around checking things off my list and before I know it, the holidays are over and I feel like I never got to really enjoy them. This year, things are going to change. You heard it here first! 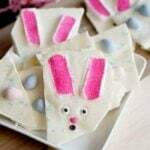 I am going to slow down, spend time with friends and family, eat everything delicious and for the first time in years, really savor the holidays! 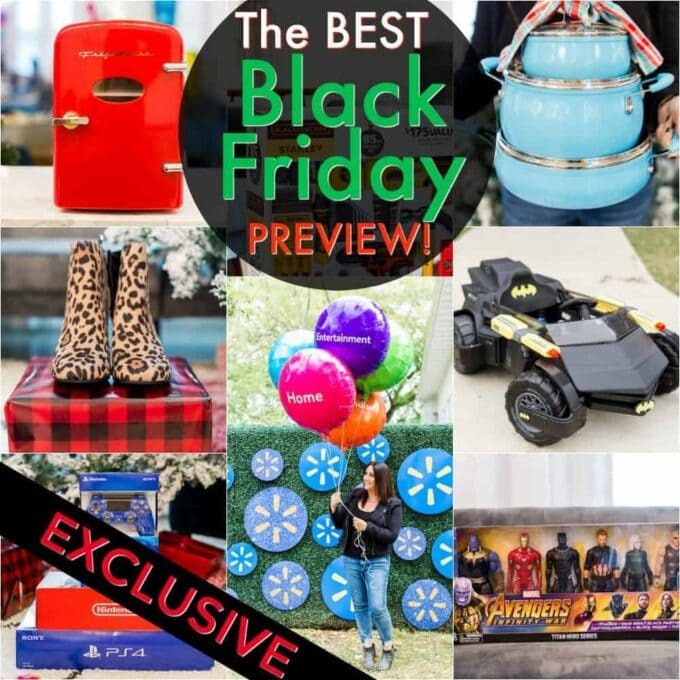 Check out more top deals from Walmart Black Friday! Easy to say, but harder to do, right? Well nope, because I have a plan! This year, I was lucky to be one of the chosen few who got to visit with Walmart and hear all about their Black Friday deals. That’s right, I got to see their hottest deals before anyone else! While I was visiting with them, I started making a list, not the typical gift list (although I made that list too), but another list of items that will help me enjoy my holidays, all while shopping Walmart’s Black Friday deals! 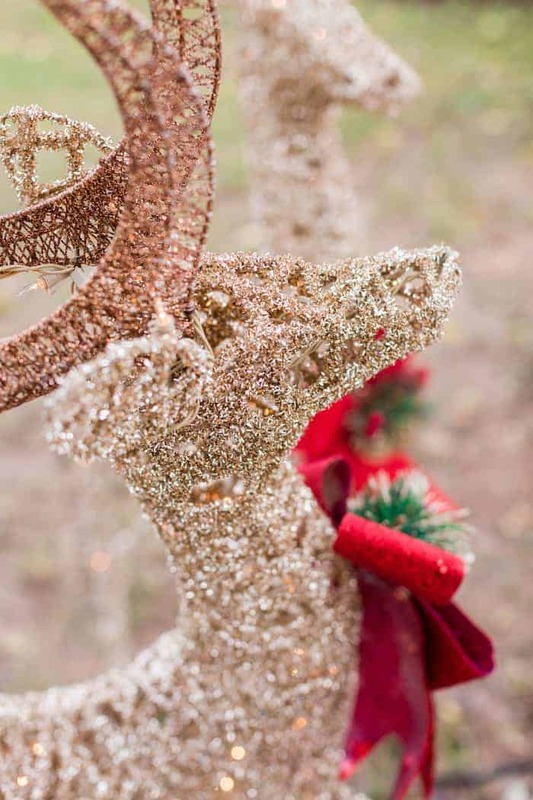 It will be a true one-stop shop for me this year – gifts and holiday prep – done and done! Why not kill two birds with one stone and take care of your gifts list AND get your holiday prep done as well, so you can actually enjoy your holidays. Walmart has everything you need to get ahead for a stress-free holiday season. I am going to give you a hand here (you’re welcome) and we are going to go through some of the great deals that Walmart is going to have on Black Friday that you won’t want to miss. These items will not only save you money but will make your holiday prep the easiest ever! See Black Friday Deals Here! One of my favorite parts of the holidays is having my family come to stay at my house. I know, some people stress out when they have overnight guests, but I see it as a great opportunity to really spend quality time together. We love to curl up on the couch with the fire blazing and catch up. My family loves a game night! It forces everyone to get off of their devices and disconnect to reconnect! 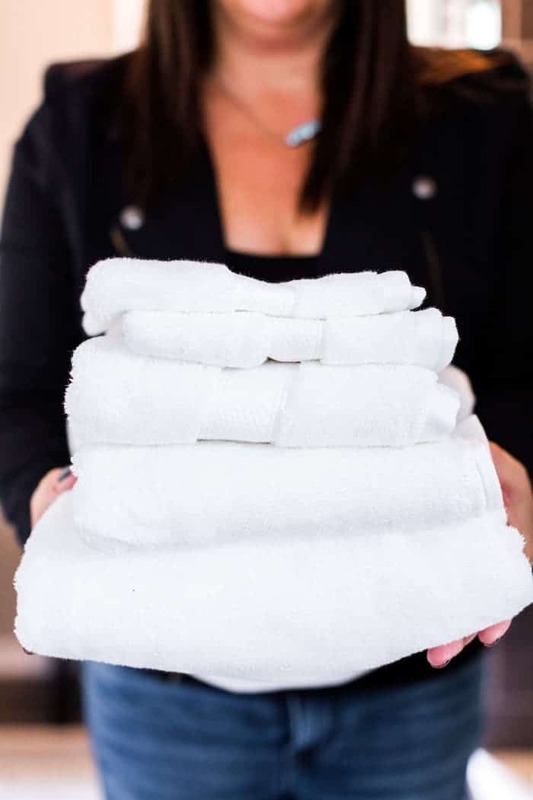 Hotel Style Bath Towel or Bundle 4 Pack – $5 (your choice) – These luxurious towels come in either a 4 pack (2 hand towels and 2 washcloths) or the individual Bath Towels. Both are a great deal! Hotel Style 1,100 Thread Count Sheet Set – $24 – They come in Full, Queen and King sets and include 4 pillowcases! Stock up on these sheets! Gel memory foam mattress topper – $45 – if your guest bed isn’t comfortable enough that you would want to spend a few nights sleeping on it, consider getting a memory foam mattress topper. These can make all the difference in the world and costs much less than purchasing a new bed. A mattress in a box – $64 – If the guest bed, or maybe even your own bed, is beyond a mattress topper, these mattresses in a box are the perfect solution. You cannot beat this price and the assembly is a snap! Family games – $10 – Walmart’s selection and prices on games are unbeatable. Stock up on the classics like Monopoly, Clue, Operation, Life and more! Give Yourself a Break and Let the Products Work for You! There is so much running around that during the holidays that I always feel like I let things at home fall behind. Well, that doesn’t need to be the case. While you are at Black Friday pick up a few of these great items that will make your life easier and still get everything done! This version not only cleans your floor without you having to do anything but press a button, but you can actually schedule it to do it and not even have to actually press the button! Sit back and let the Shark clean your floor for you! Instant Pot – $59 – The Instant Pot is one of the best inventions ever (and this one has a huge capacity!). If you haven’t tried one yet, run, don’t walk, and grab this one before it is gone – the price is amazing! It is perfect for those busy weeknights that you didn’t have time to prepare dinner. You can have a hot, delicious dinner ready in minutes! Don’t fuss or stress in the kitchen anymore – the Instant Pot is the answer! Cordless stick vac from Dyson – $159 – I am seriously drooling over the Dyson cordless stick vac. Who has time to mess with those heavy corded vacuums when you just need to do a quick clean up? You can just quickly grab this lightweight cord-free powerful Dyson and be done faster than it would have taken you to take your corded vacuum out and plug it in. This is topping my list this year and the price is also drool worthy! – $99 – This is the top item on my list this year. The Google Home Hub literally is out of the Jetson’s! This Smart device is like having your own personal assistant at your beckon call, but what makes is different than other devices it the addition of the screen for visual answers! 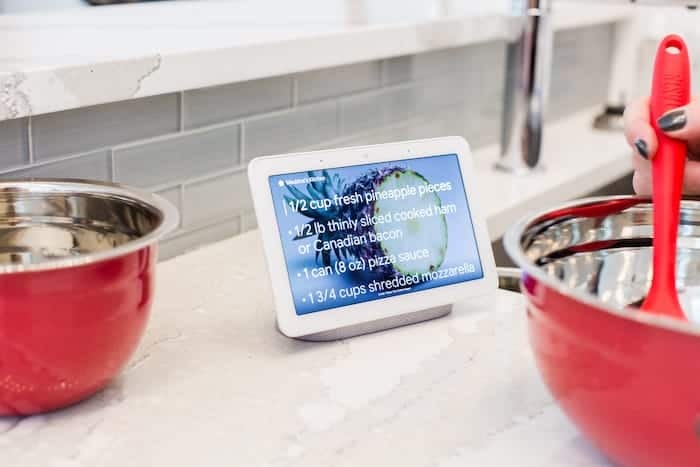 Now you can ASK google to show you how to make a recipe, and it will bring up a video AND walk you through the instructions. When you are not using it, turn on scrolling photos and it becomes a digital picture frame. See who is at your front door or turn down the thermostat. Best of all, it still does all of your favorite things, like plays music, turns on your other smart devices and more. I always have good intentions when it comes to holiday decorating, but let’s just say I don’t always have time to see through. That’s why I love so many of the quick and easy decorating options available at Walmart and there are some amazing deals that you won’t want to miss at Black Friday! 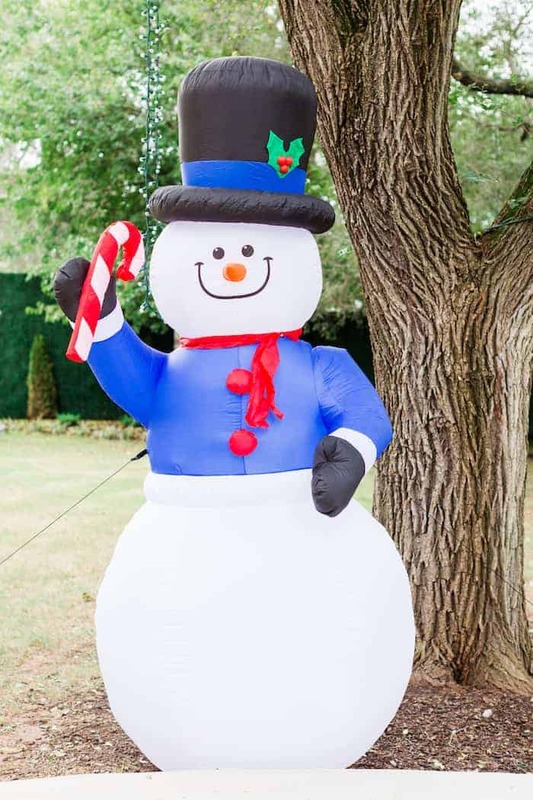 Outdoor Inflatable Blow Ups – $29 – these are great! They take no time to put up and make for a very festive front yard! They inflatable Snowman and Santa are my favorites! Pre Lit Christmas Tree – $68 – Don’t get caught up in all of those Christmas lights when you can have your tree up and lit in minutes! While the holidays are about thinking about others, it is also important to think about yourself. On Black Friday, you can kill two birds with one stone! They have some great stress relievers just for you! Why not throw in your cart while shopping for others! 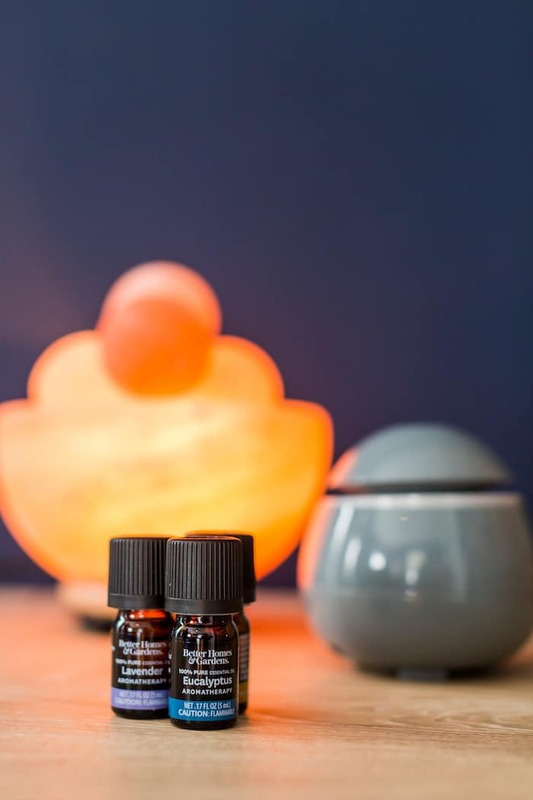 Essential Oils and Diffuser Gift Set – $19.92 – is the perfect way to refresh, revive and relax. It comes in a few different colors and starts you out with six 100% pure essential oils. Lavender, peppermint. sweet orange, eucalyptus and fraser fir. Himalayan salt lamp with Massage Stones – $19.92 – the Himalayan salt lamps have been said to help blood flow, improve sleep, increase levels of serotonin and calm allergy or asthma symptoms, but this particular one also has massage balls that heat up! Now you just need to find someone to give you the massage after you get back from your Black Friday shopping! Fleece Pajama Sets – $10– the fleece pajamas are like butter! They are beyond comfortable and you won’t be able to wait to throw them on after a long day of holiday festivities! The best part is the price – you will want to grab at least two pairs! Bullet Journaling Starter Set – $15 – Sometimes you just need some to slow down and let your creative juices flow! The Bullet Journal Starter Set has 1750 pieces and is my new favorite stress reliever. Fitbit Versa – $149 – It is important to stay healthy and active, especially due to the “indulging” that takes place during the holiday season. Grab yourself a Fitbit Versa to help keep you on track! Classic arcade games – $249 – This girl loves her video games! I have always wanted my own stand-up console and I cannot believe the price of these classic versions. They have 6 different options, but Pac-Man and Galaga are exclusive to Walmart! I cannot wait to beat my kids at Pac-Man! 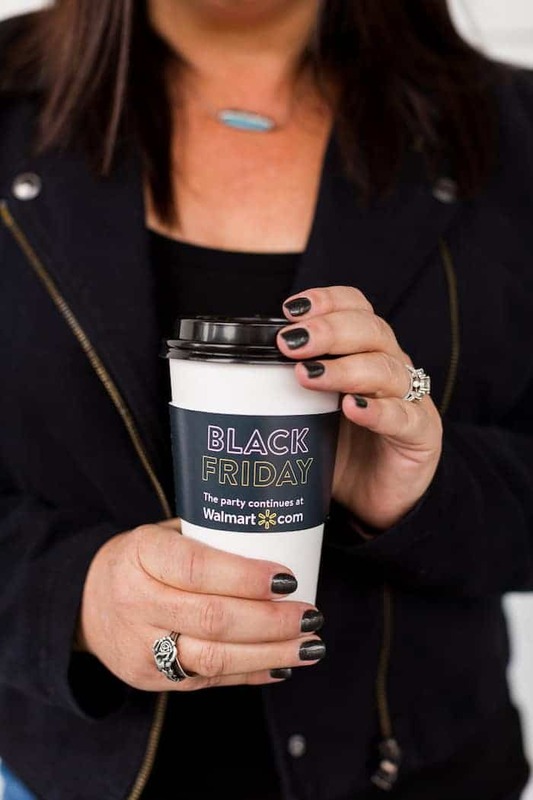 So, while the holidays can be stressful, there are so many things you can do proactively to make them less so and it all starts at Walmart’s Black Friday! Grab these items so you can sit back and enjoy your holiday time with your friends and family! Check out some more of our Black Friday deals here and see how to breeze through your Black Friday Shopping! These are such great ideas- thanks for the preview!!! LOVE the diffuser set. So many great deals this year! Black Friday Shopping is on my list again this year. It’s been several years since I’ve done it, but it’s always a blast! My kids loooove going! So excited! 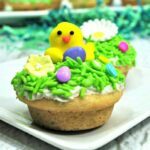 So many great ideas that my family would love! Thank you! Bullet Journal, pots, Essential Oil and Diffuser set, I want to get these for gifts, but for myself too! Great deals. Thanks! I have always wanted to bullet journal and now I will have no excuses not to! Such a great tips! 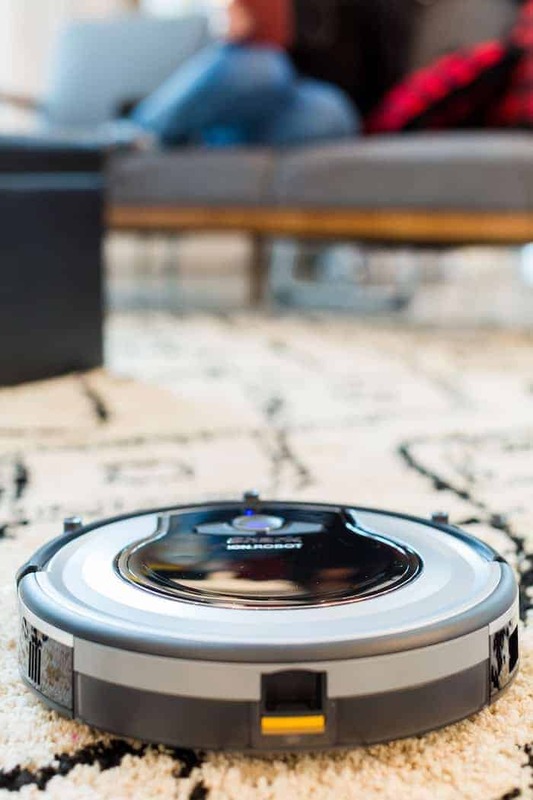 I really love Shark Ion Robot Vacuum! This is such a great deal, I may get a second one for my upstairs!